I bring you nothing but the greatest. This woman is fearless, hilariously brutally honest and my hero. Her name is Hart and she gives you life! Then you realise SHE’S WEARING AN OUTFIT MADE OF WATERMELON! And what this really proves to us is that you don’t have to wear what you love. Just because she loves watermelon don’t mean she has to dress up as a watermelon…although she rocks it. Ladies and gentlemen that video was just the beginning. All of her videos have a lot of time and energy put into them. She educates the masses about their own ignorance (towards sexual orientation or other issues) but she does it in the most unpretentious and level-headed way. If you’re looking for an intelligent, educated YouTuber that can make you laugh and has many substantial things to say, then I suggest you visit Hart’s channel, Hartbeat, on YouTube and forget about your project/homework/250000-word essay for a few minutes. Yes, I may be a bad influence, but if you’re going to procrastinate might as well do it right! This is going to be quick. I would just like to inform you all of the greatness that was bestown upon me Saturday night. 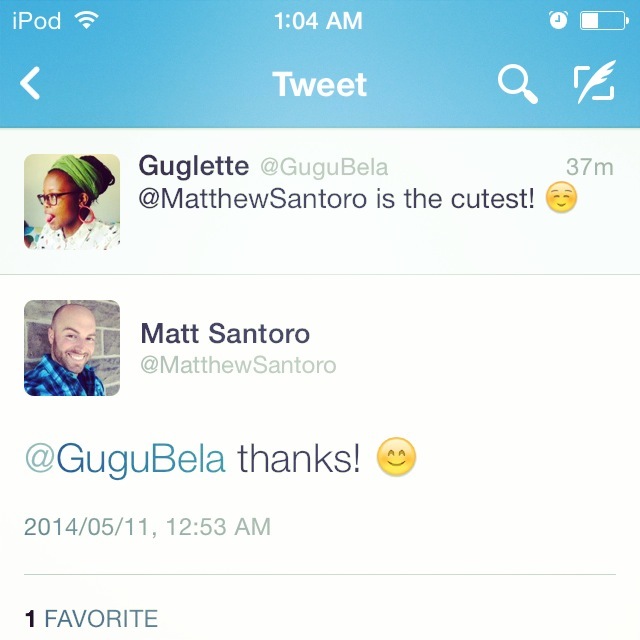 So in case you all didn’t know, I’m a huge fan of Matthew Santoro. In fact I’ve seen all his videos and have unintentionally learnt how to mimic his cute Canadian accent. I mentioned him in a tweet on Saturday and, low and behold, he replies! Is this not the sweetest thing you’ve ever seen? Excuse me while I fangirl myself into a coma. In fact this event has inspired me to do an official “YouTuber of the Week” starring him. 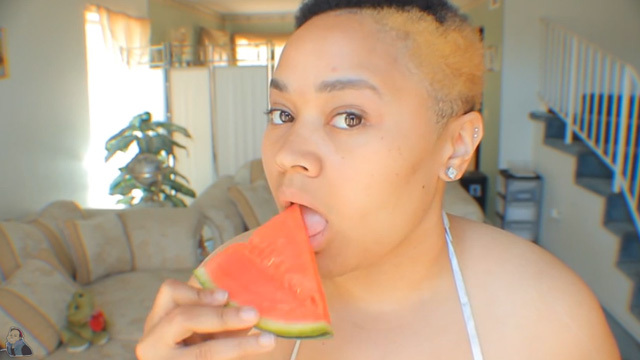 This is probably my zaniest YouTuber of the Week. 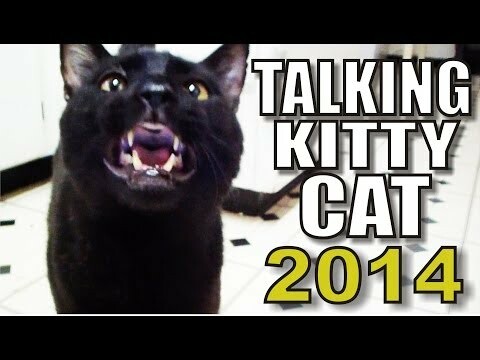 I was meandering through Youtube, wandering the halls of beauty tutorials, humorous skits, dramatic vlogs, and weird videos about human doll-like creatures (yes, I made it into the “weird part” of YouTube once again) when I stumbled upon the greatness that is the Talking Kitty Cat series by SteveCash83 and my life suddenly had meaning. Let me break this down for you. The reason I have crowned Steve Cash as this week’s YouTuber of the Week is because of his hilarious home videos containing his pets. There’s Sylvester: the star of the show. 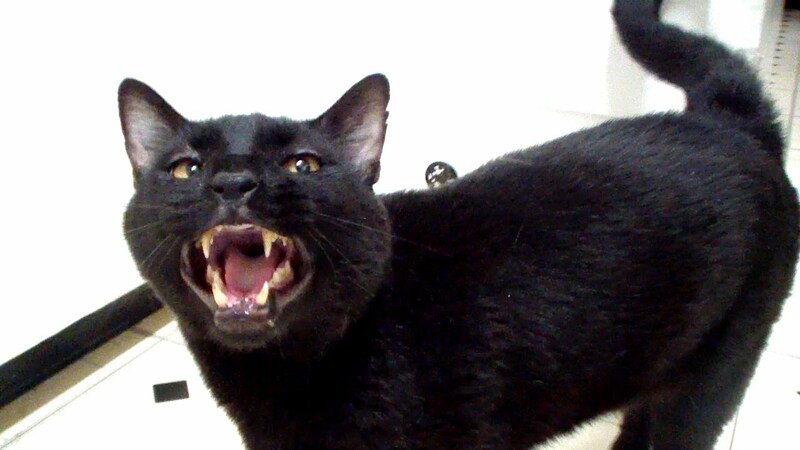 He is a selfish, foul-mouthed spoilt brat who enjoys his wet cat food and loathes kittens. He is the most amazingly funny cat you will ever encounter, his snide comments and merciless jabs will leave you in stitches. Without him, the show wouldn’t exist. He really is that crucial. In the series, Steve has made it seem like Sylvester the kitty cat can speak English. This might sound crazy, but go check it out for yourself, it truly is hilarious. Obviously you know cats don’t talk but once you get lost in the narrative and understand the characters, you almost forget that talking cats don’t exist. The show really is that good. The other two characters are another cat named Gibson and a sweet black labrador named Shelby who, unlike her feline friends, is not able to speak English (’cause dogs can’t talk, duh). Steve does eventually create a collar that translates her thoughts so that we can understand her, and makes her sound a bit like a cheerful version of GLaDOS form Portal 2 (if you don’t get this reference, don’t worry; that probably means you have a life). Gibson is a paranoid kitty that is the newest addition to the family who Sylvester first hates (naturally) and doesn’t initially have the ability to speak. In fact, for a long time all he could say was “help” and “Todd”. I know, weird. You just have to watch the show because a lot of stuff I can tell you doesn’t do the show justice! Steve Cash is a visionary. He is also a musician and has a few covers and original songs out there, which can be quite funny as well. As you can probably tell from the detailed description above, I am a huge fan of this guy. He started out back in 2007, but he hasn’t been uploading as much. No matter, he has a treasure trove of magical videos you can check out and enjoy. Trust me, it will be the best and worst thing that’s ever happened to you. You won’t get much work done until you’ve seen every episode of Talking Kitty Cat. Sylvester will have you in tears! Must watch from episode 1! As always, feel free to leave your comments below! So, it’s Monday. Allow me to announce the very first YouTuber of the week! Please note that the YouTubers that I post per week under this title are my personal favourites, and that although my taste in comedy is pretty good, you are free to disagree. This week it’s David So! Let me give you a bit of background so you understand where I’m coming from. 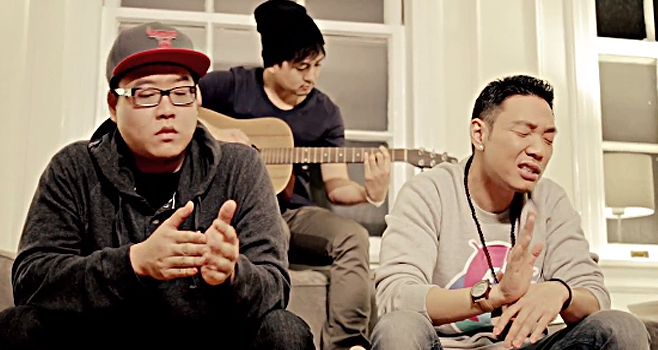 David So is a Korean American vlogger, stand up comedian and even a singer. 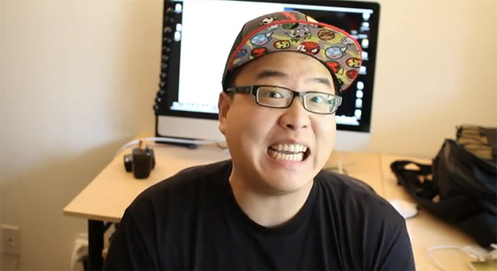 He has been doing stand up comedy in his hometown of Sacramento, CA since 2008 and created his YouTube channel called “DavidSoComedy” in 2011. Now, believe me when I tell you that his videos are über hilarious and that they will make your day 1,000 times better, no matter your mood. If you are more interested in his musical side (he is unbelievably talented), he has a separate channel on YouTube called “DavidSoMusic” which is full of his awesome covers as well as some original tracks. I have chosen him as the YouTuber of the week because he has a funny take on any issue thrown at him and is quite intelligent. He tackles social issues like obesity, fitness, relationships and much more. If you are having a not-so-great day, pop on over to his channel and laugh away the stress.